The Maroons will begin their UAA matches at home this weekend against Case on Saturday at 2 p.m. and Wash U on Sunday at 2 p.m. The Maroons will begin their UAA matches at home this weekend against Case on Saturday at 2 p.m. and Wash U on Sunday at 2 p.m. Both matches will be held at the Stagg Field tennis courts. Although Case will play Wash U at the Stagg courts just a couple hours before it plays the Maroons, Chicago head coach Taka Bertrand said that the Spartans will not be fatigued. “I don’t think playing Case in the second leg of the doubleheader is a benefit to us because they are accustomed to playing multiple dual matches in a day,” she said. The players also acknowledge that Case has had a wealth of energy, even when Chicago beat the Spartans 6–3 in last year’s matchup. “It obviously can’t hurt to have [the Spartans] play Wash U beforehand, but Case has a reputation for coming out firing no matter who, when, or where they play, so we can’t take any match for granted,” second–year No. 3 doubles player Krishna Ravella said. The Maroons will have the added benefit of scouting both the Bears and the Spartans, as Bertrand is the site host for the match. Still, Chicago is at a disadvantage going into both matches. Second–year No. 4 singles player Alex Golovin will be out of town. He currently holds a 5–3 record at the No. 4 spot on the season and a 5–0 record in the No. 3 position. Because of his absence, it is likely that second-year Zsolt Szabo will move from No. 5 to No. 4 singles, first–year Deepak Sabada will play No. 5 singles instead of his original No. 6 singles spot, and third–year Harrison Abrams will play No. 6 singles. Bertrand said she could not reveal lineup changes before the matches. 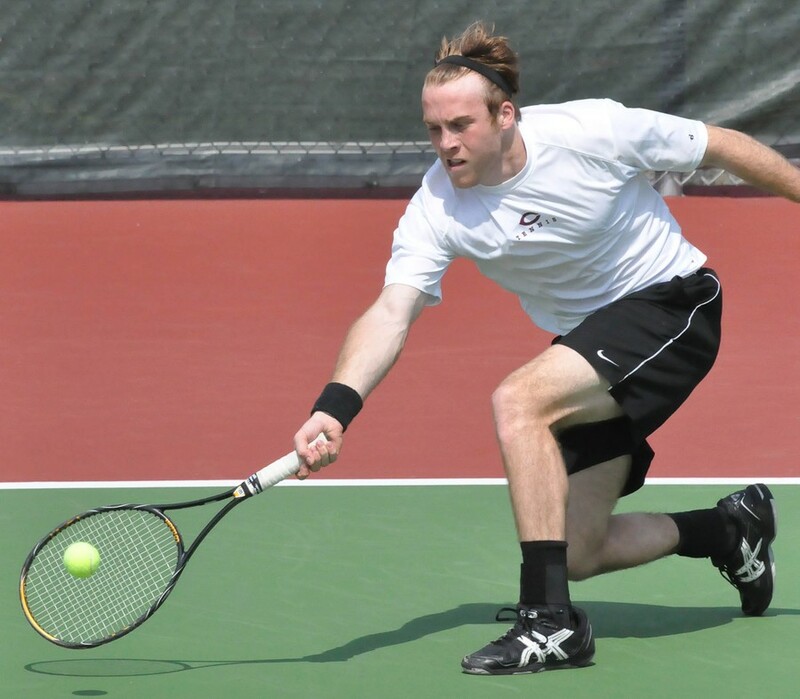 For the rest of the singles lineup, fourth–year Troy Brinker, fourth–year Jan Stefanski, and first–year Ankur Bhargava will likely hold the No. 1, No. 2, and No. 3 spots, respectively. It is likely that Brinker and Stefanski will hold the No. 1 doubles position, Bhargava and Sabada will be at No. 2, and Szabo and Ravella at No. 3. With no likely changes to the doubles lineup from most of the season thus far, Ravella said it is important to get wins at doubles. Wins this weekend are important not only for seeding at the UAA tournament, but also for a chance at an at–large bid to the NCAA tournament. Chicago is currently ranked 30th nationally while Case is 22nd and Wash U is 17th.